Forefront Dermatology is growing and seeking a full-time general dermatologist to join an established practice in Indiana, Pennsylvania with an additional opportunity to practice in our Monroeville, Pennsylvania clinic. A turnkey opportunity, this location features a loyal patient base with productivity on day one, and a well-trained staff ready to assist. You will practice with a physician assistant and have access to nearby Forefront Dermatology MOHS surgeons. There is also an opportunity to perform cosmetic procedures at this location. With Forefront Dermatology, you have personal and professional autonomy with the security of a large single specialty practice behind you. Sure, Indiana is the birthplace of famous actor Jimmy Stewart, and it’s in the heart of the coal region of Pennsylvania, but it is so much more than that, as you’ll find out when you get here. Indiana is a “big” small town with a lot to offer. They have parks to relax or exercise in, theaters to see movies and plays, your favorite restaurants and shops where you can find anything you need. 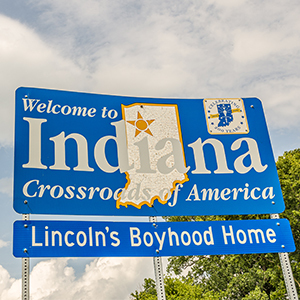 And with the Indiana University of Pennsylvania campus located right in the heart of Indiana, you'll find there are a lot of things to do—and they're not far away. Take in a play at the Indiana Playhouse or a movie at the Indiana Mall Cinema. 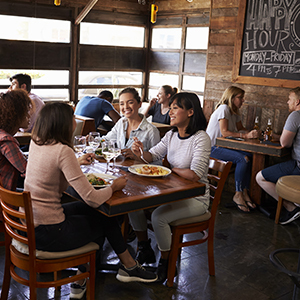 If you’re headed out to eat, Indiana has many options to choose from, including chain restaurants and locally-owned eateries. Want to unwind with a good cup of java? We have some greatcoffee shops, including locally-owned Commonplace Coffeehouse, the Artists Hand, and Café Amadeus, and chains like Dunkin’ Donuts and Starbucks, and all are close to campus. Go for a skate at the S&T Arena, which has two full-size ice rinks. 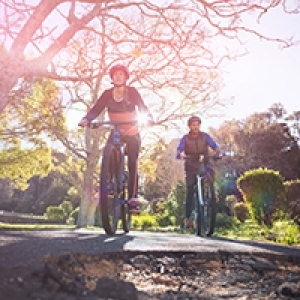 Visit one of the nearby parks (Blue Spruce or Yellow Creek) that offer a lot of outdoors activities, including hiking, boating, fishing and biking, or take a run down the Hoodlebug Trail, which begins near the southwest corner of the IUP campus. Enjoy 280 beautiful acres of woods and fields at the IUP Co-op Park, a recreational area located only a few miles from campus. You’ll also find 10 miles of hiking, running, and walking trails there that connect to the White’s Woods Nature Center. You can also throw discs at the 18-hole disc golf course or go sledding, tubing, or tobogganing on the range. Enjoy the many offerings at one of the festivals held in town, including the Westsylvania Jazz and Blues Festival (May), Northern Appalachian Folk Festival (September) and Indiana County Fair (late August/early September).